Two Trees Management Co.’s 31-story “BAM South” rental tower is moving right along. The 286 Ashland Place project across the street from Brooklyn Academy of Music will have 381 apartments, according to a plan exam application filed November 8th. Ismael Leyva is the architect of record. Enrique Norten of TEN Arquitectos is designing the building. Located on a triangular lot between Lafayette Avenue and Hanson Place, the thoroughly mixed-use development boasts 280,346 square feet of residential space, 21,928 square feet of commercial and 45,148 square feet of community facility space. It will rise on a current parking lot, and 20 percent of the rentals will be affordable housing. So what BAM-y cultural delights await? The building will host BAM cinemas on the second and third floors, while the fourth floor will be populated with dance studios operated by 651 Arts. The Pacific Street Carnegie Library will also be housed on the lower floors. Apartments start on the sixth level, and the 24th story will have a residential terrace and other amenities. 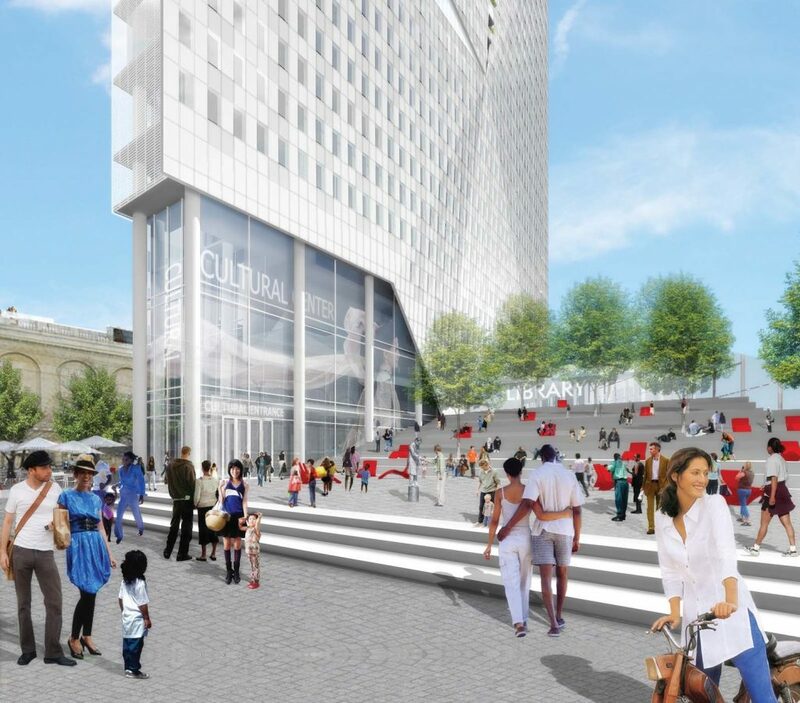 The City Council approved the $135 million project in June after the city agreed to increase the number of affordable units at adjacent sites, the New York Daily News reported.